Lawn Maintenance: Tenants responsible for lawn maintenance for front and back yard. 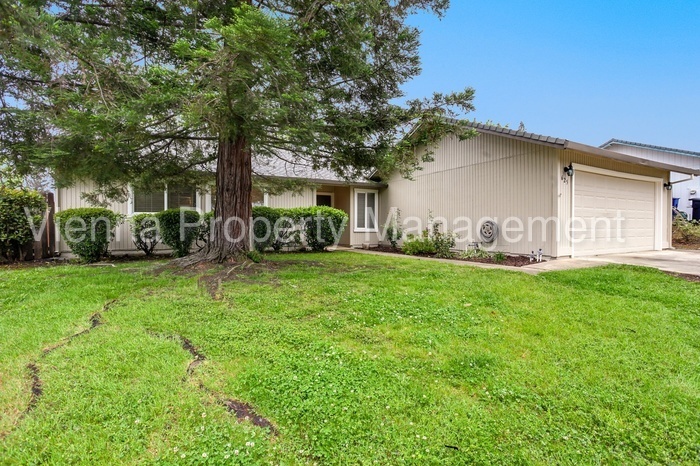 Charming 3 bedroom, single story in desirable area of Folsom! This property is located on Flower Drive, off of Blue Ravine Road & Oak Ave Parkway. This home is just mins from top rated schools, parks, biking trails and all that Folsom has to offer! This home has recently had new exterior paint, new carpet, updated bathrooms and an updated kitchen with granite counter tops. Cozy family room with lots of natural light and a classic brick fireplace. There is a large formal living room with vaulted ceilings. Please click the link below to be notified when the home is available to view!